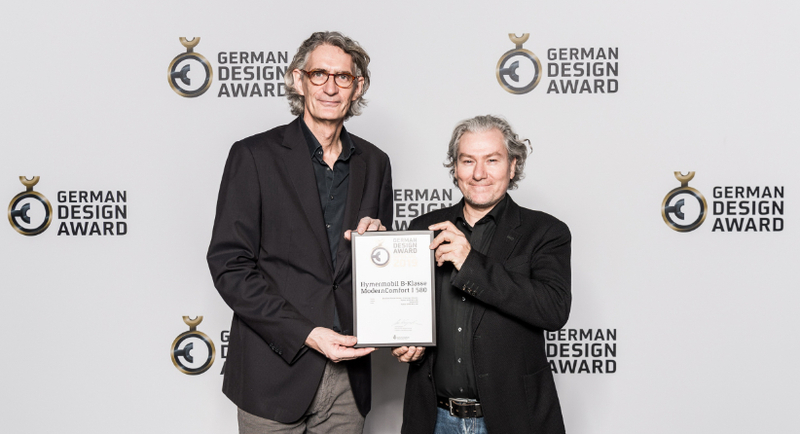 Frank Venter, Head of Design & Design Management at Hymer and Tom Klüber-Voss, Industrial designer and owner of STUDIOSYN at the award ceremony in Frankfurt. 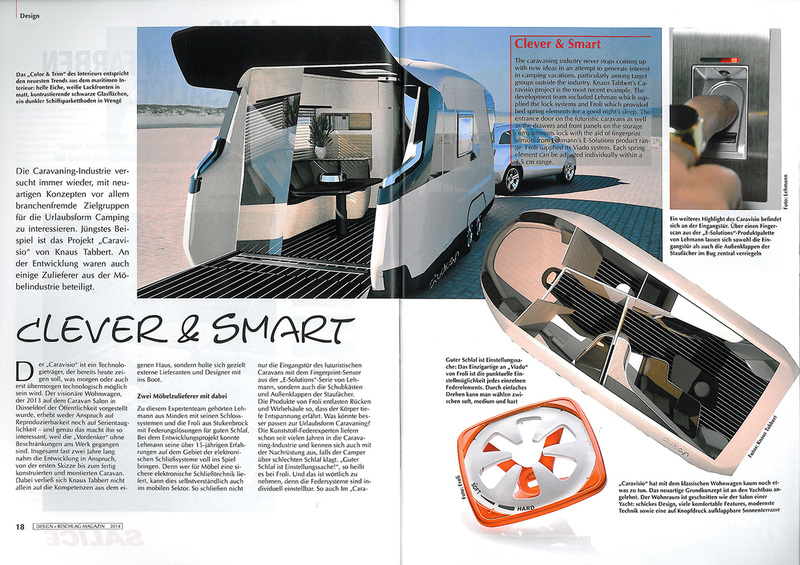 Jury statement: "The design of the motorhome is intelligent in terms of both form and function for both the exterior and the interior, which leaves a more spacious impression thanks to the innovative arrangement of the furniture." 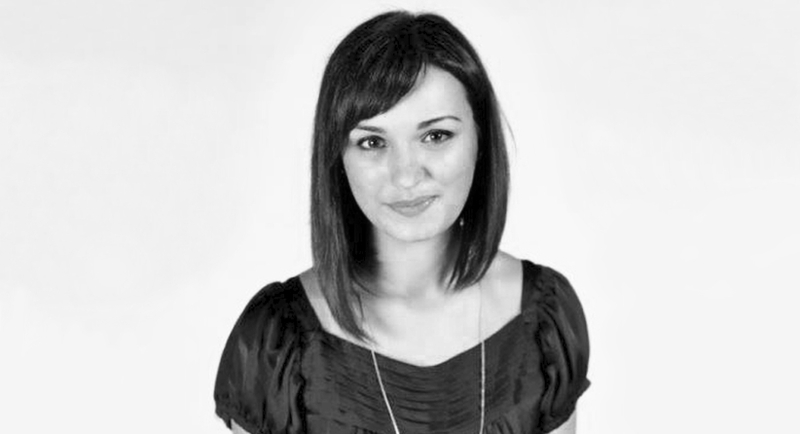 Welcome - We are delighted that Sandrina has been supporting our product and interior design team since October. 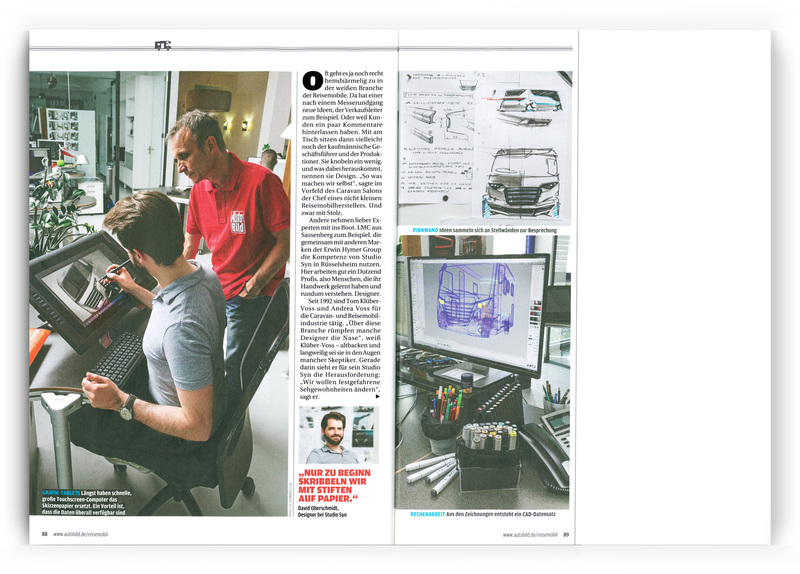 The magazin Autobild drops in on STUDIOSYN to look over the shoulders of our designers and their designprocess. 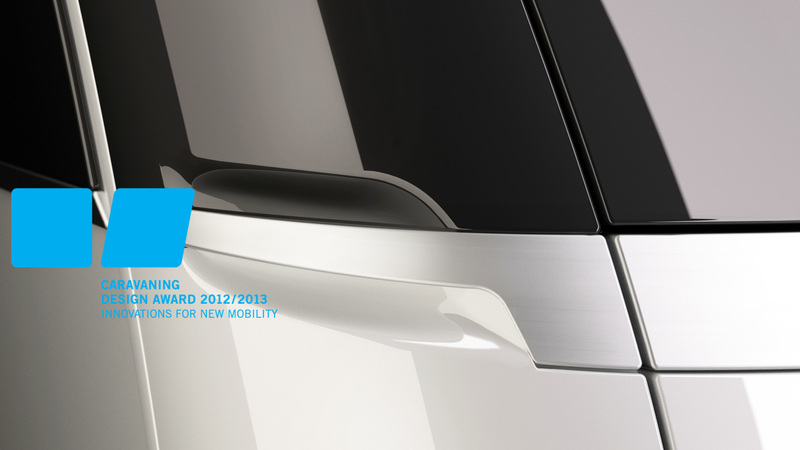 The new Arto receives a "Special Mention" Award at the automotive design contest "abc" 2014. 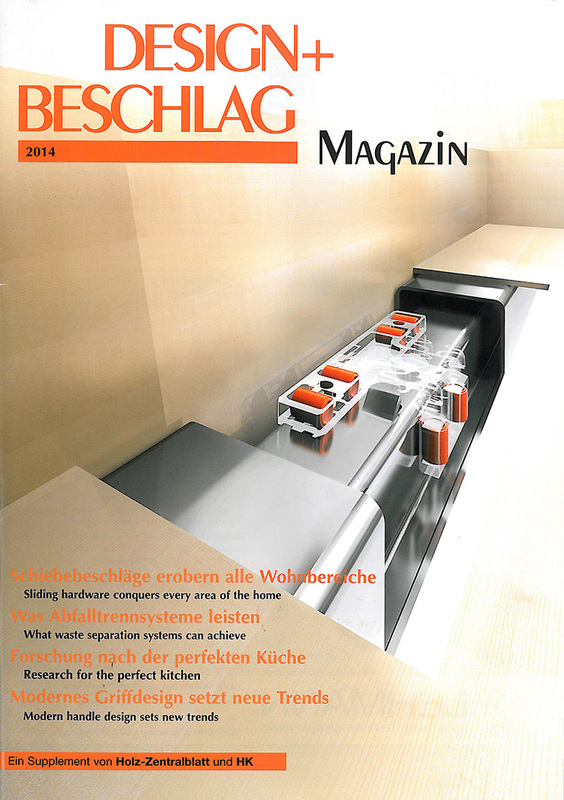 StudioSYNs Caravisio Project is featured in the Design+Beschlag magazine. 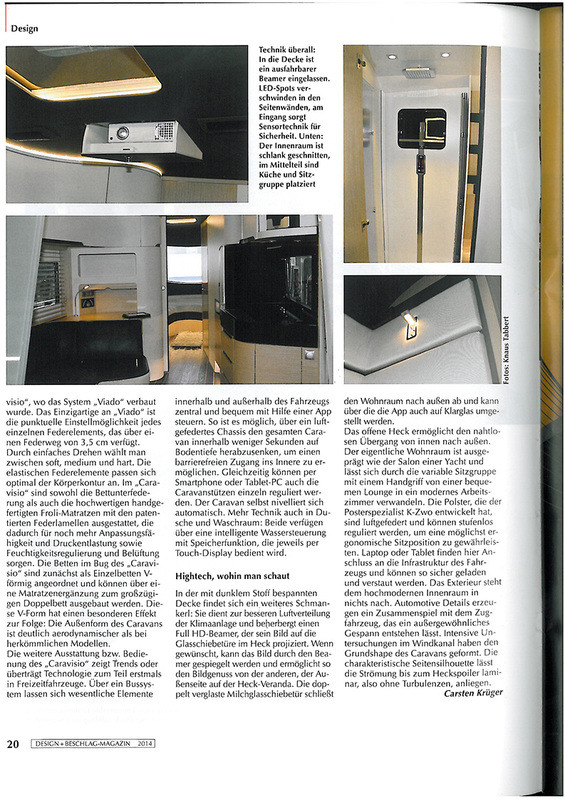 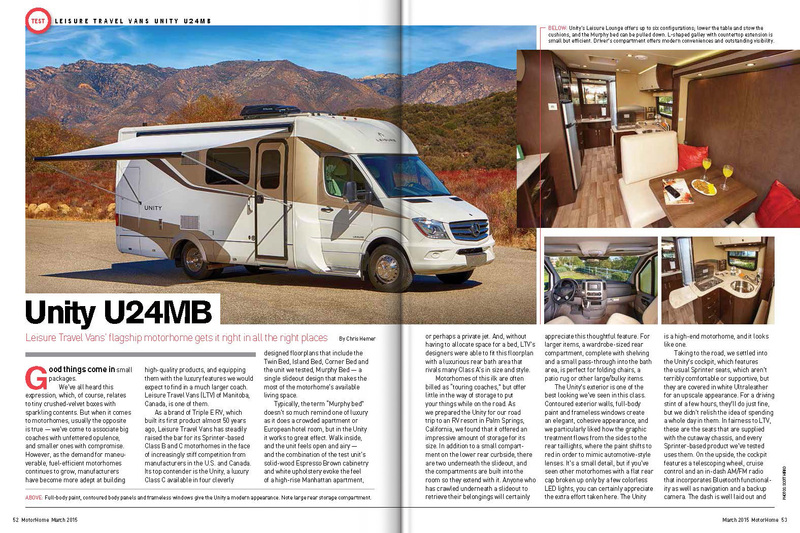 The magazin Design+Beschlag is presenting a three pages article about the Knaus Caravisio, designed by STUDIOSYN. 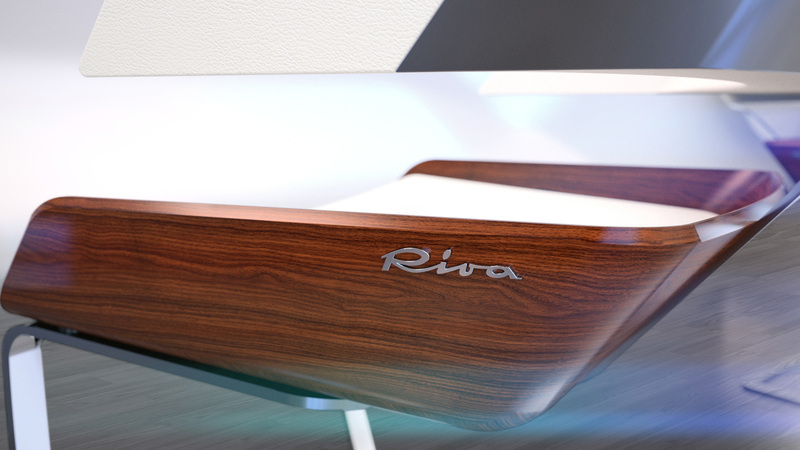 The first piece of STUDIOSYN's furniture series for RIVA YACHT celebrated its release at the Yacht Club of Monaco on June the 20th. 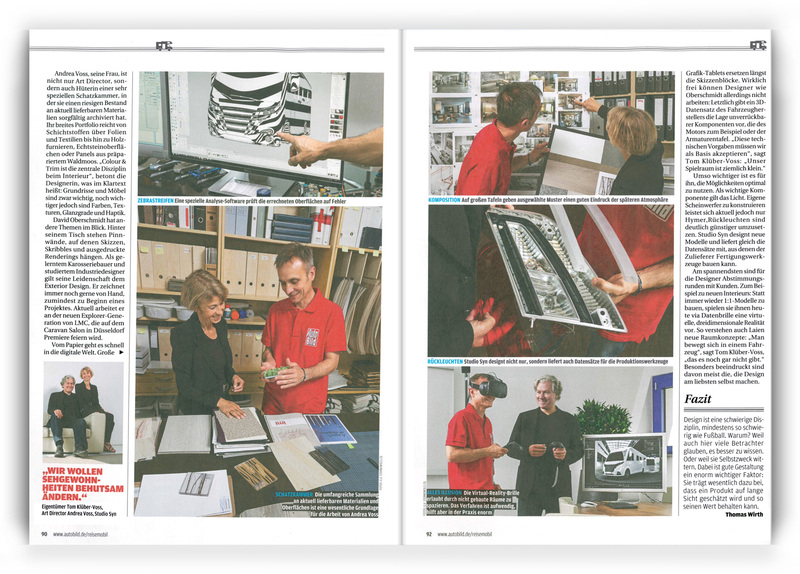 To design furniture for the legendary RIVA ship yard is for sure something extraordinary. 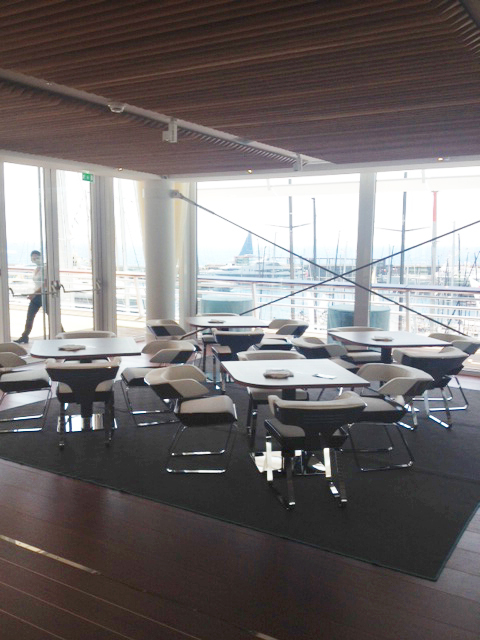 Exclusive as well is the location, where it is placed – the new Yacht Club of Monaco.On June the 20th his Highness the Sovereign Prince Albert II officially opened the club designed by architect Sir Norman Foster. 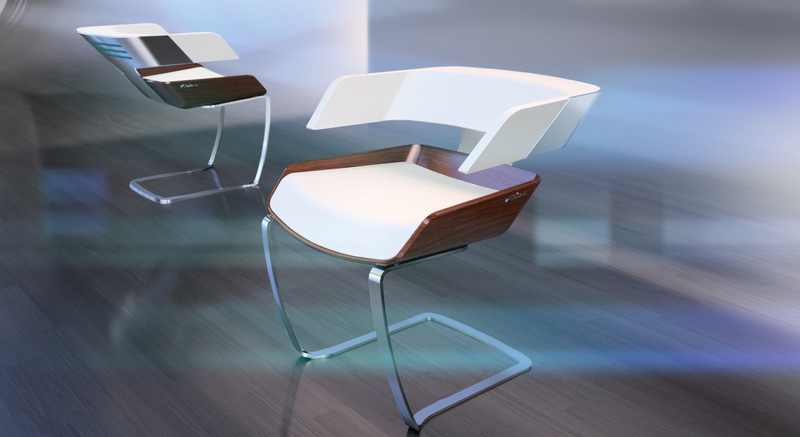 The club´s RIVA AQUARAMA lounge is equipped with chairs and tables designed by STUDIOSYN. 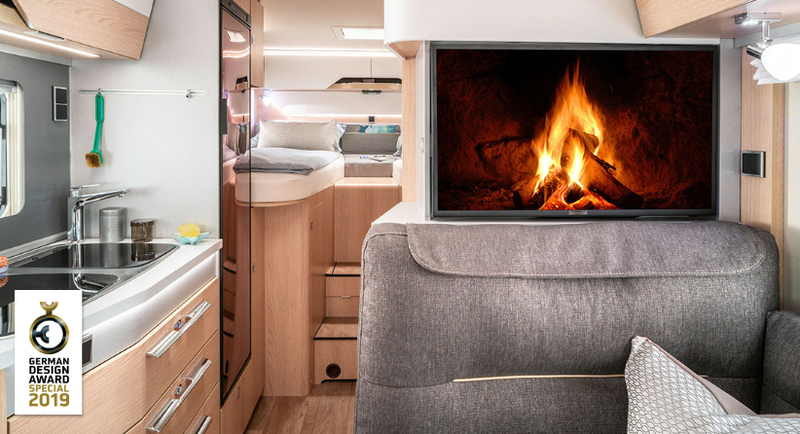 1st and 2nd place of the "Caravaning Design Award: The Public Choice" were given to products designed by STUDIOSYN for Knaus Tabbert GmbH. 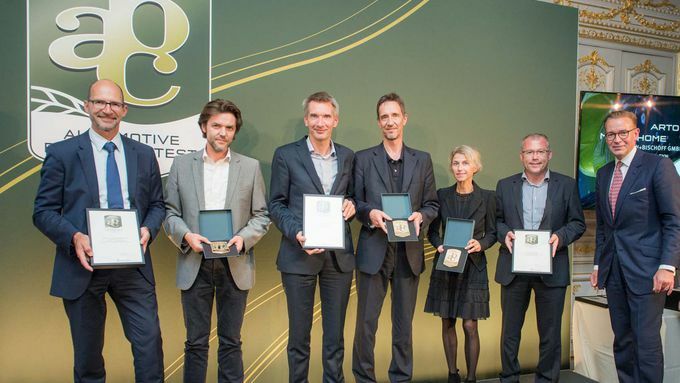 Design prizes are typically awarded by a jury of specialists, designers or design professors. 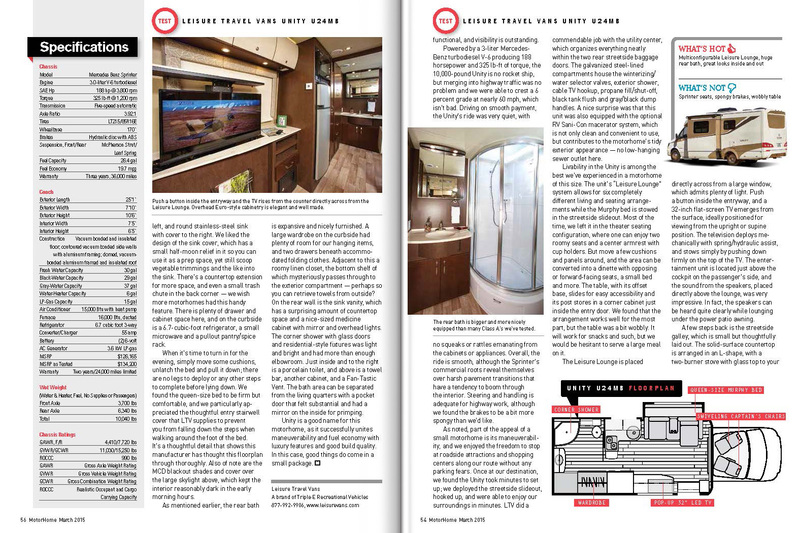 In addition to the distinction from experts, it is important to our customers that the design interests and captivates the end customer. 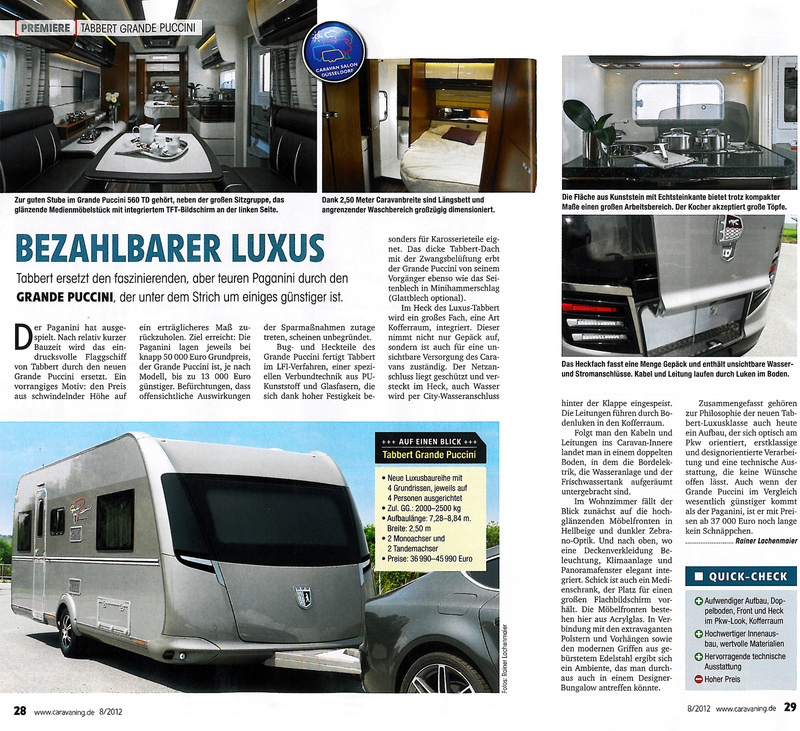 From this point of view, the "Caravaning Design Award: The Public Choice" has a special meaning. 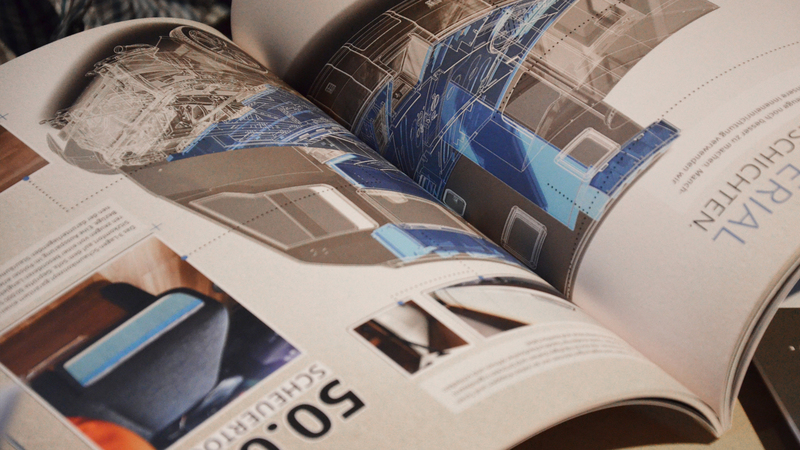 38,000 people selected the product via online voting which they believed satisfied the highest design standards. 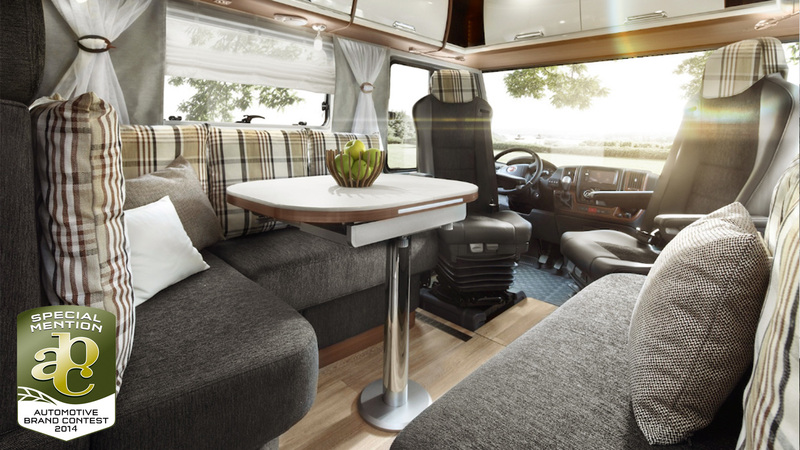 The Knaus Van-TI with interior design from STUDIOSYN got the most votes. 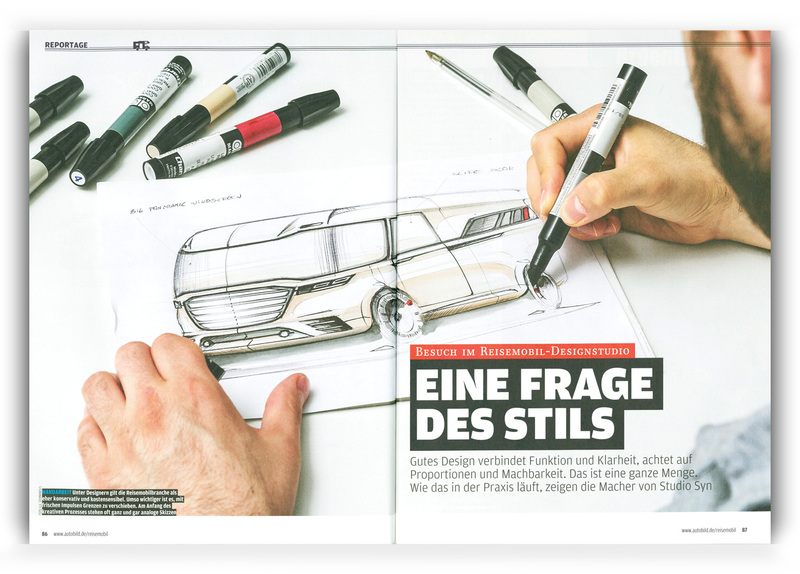 The Grande Puccini, designed completely by STUDIOSYN, got second place. 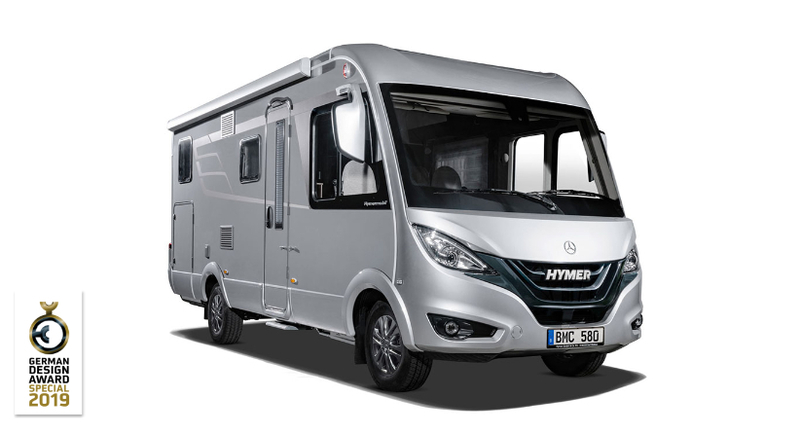 The Premium camper whose exterior design was designed for the brand Hobby two years ago was also awarded a prize by the public. 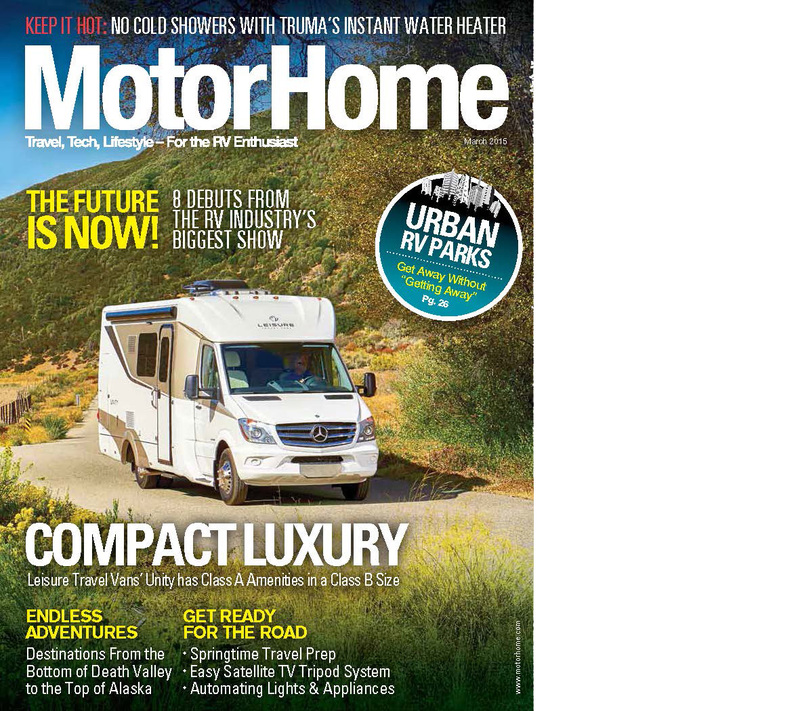 It got fourth place.